An American (Kent Smith) visiting London during World War II learns the complex history of an ancestral house he is hoping to sell. 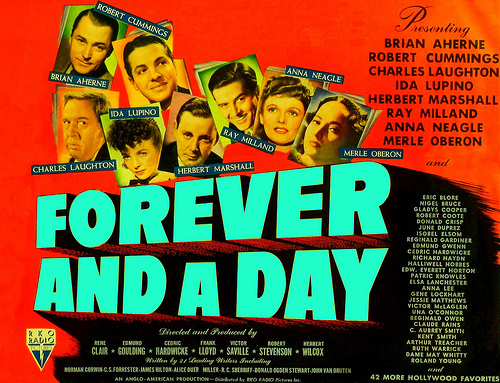 Marketed as “78 stars in one Great Picture!”, this ultimate-ensemble piece — involving no fewer than seven director/producers and 21 writers, and made without pay by all cast and crew — remains a surprisingly touching, engaging, and witty artifact of wartime patriotism. The storyline tells a semi-realistic story of how families and classes intermingle over time, how houses go in and out of various states of use and distinction, and how either fate or the random vagaries of life spark surprising new beginnings. 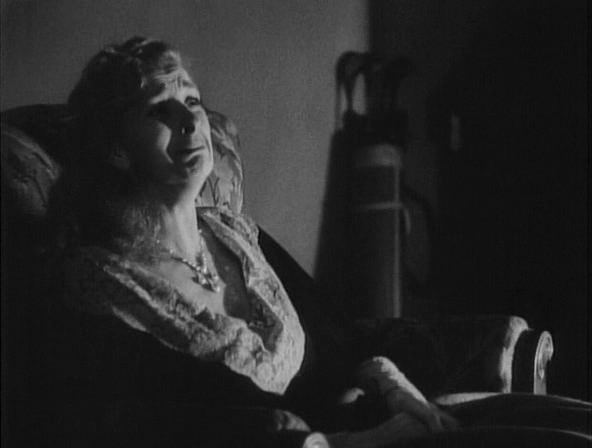 The framing story begins with Smith leaving his hotel (bid adieu by doorman Victor McLaglen) and being shown around a house he’s been tasked with selling (now functioning as an Air Raid Shelter) by its tenant (Ruth Warrick) while a clergyman (Herbert Marshall) keeps up the spirits of its inhabitants. 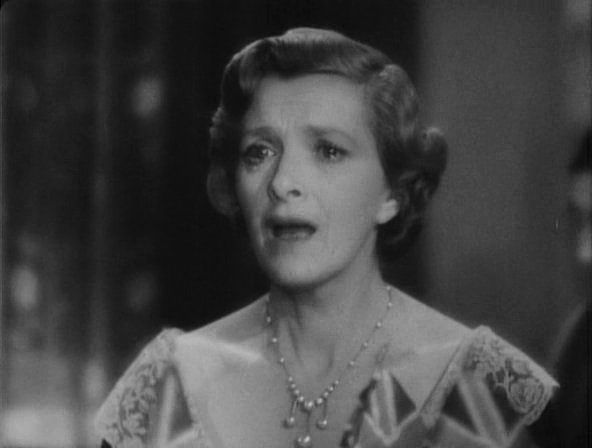 From there, we’re taken in flashback to the initial construction of the house by an admiral (C. Aubrey Smith) during the Napoleonic era, after Edmund Gwenn sells him the land; this leads to a story of C. Aubrey Smith’s son (Milland) “rescuing” and marrying a woman (Anna Neagle) escaping the clutches of her nefarious guardian (Claude Rains). Rains seeks revenge through pursuing ownership of the house, but at his own peril. The next, much more light-hearted vignette centers around a woman (Jesse Matthews) eager to convince her iron-mining husband (Ian Hunter) to install a bathtub in their house; this is eventually completed by Buster Keaton and Cedric Hardwicke, with Charles Laughton on hand as a tippling butler. Generations pass (with Anna Lee, Edward Everett Horton and Cecil Kellaway quickly flitting across the screen), and we watch Ida Lupino’s Cockney housemaid desperate to gain a glimpse of the Diamond Jubilee as it crosses the streets of London. 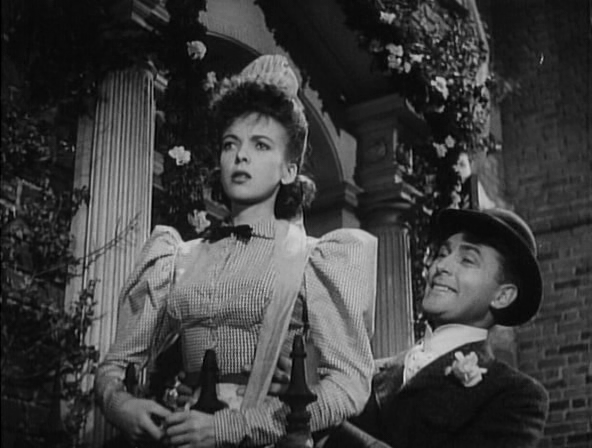 She’s whisked away to America by her lover (Brian Aherne), and thus begins the American branch of the extended family. Eventually we come to World War I and the saddest of all the stories, as we’re solidly reminded that this film was made during a time of unimaginable death and uncertainty. An American soldier (Robert Cummings) arrives at the (now boarding) house and instantly falls for its beautiful manager (Merle Oberon); meanwhile, as a giddy maid (Elsa Lanchester) flits about, a stoic couple (Roland Young and Gladys Cooper) wait patiently for the arrival of their heroic son… Their understated performances are shattering. 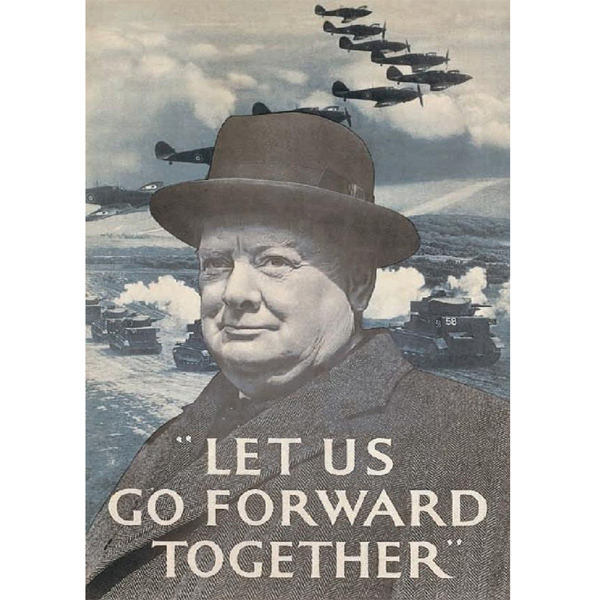 As the film closes during the present era and an air raid rocks the house, we get a final glimpse of Winston Churchill on the wall — a solid visual presence behind the entire narrative of American-British alliance: “Let Us Go Forward Together”. Yes, for its historical relevance, and as a surprisingly enjoyable patriotic flick. First viewing. A once-must, for its place in cinema history, and for the rare opportunity of seeing such an absolutely splendid ensemble cast! I thoroughly enjoyed this film! Turns out that the promising premise of the history of a house is able to deliver quite a captivating story. It runs the gamut from dramatic to comic, sensitive to moving. 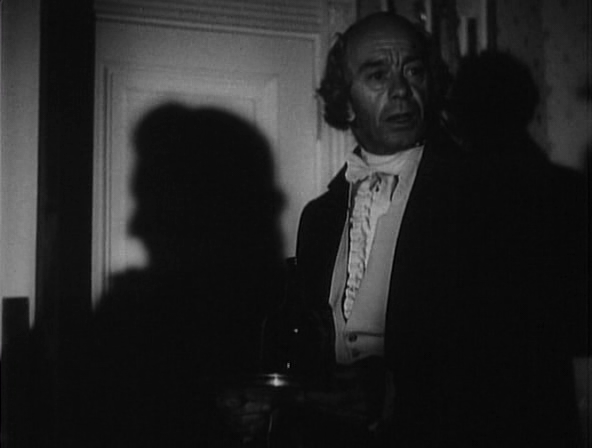 I was surprised to see Laughton looking so thin (which I mention only because his face becomes that much more expressive). I loved seeing Keaton being in top Keaton form without a single word of dialogue. I especially enjoyed seeing certain actors in something of a different light than I’ve seen them elsewhere (i.e., O’Connor, Smith, Horton, Lupino, Aherne), and instances of unusual but satisfying pairings (Smith/Warrick, Milland/Neagle, Matthews/Hunter, Lupino/Aherne, Cummings/Oberon). In short…the film is an absolute treat.